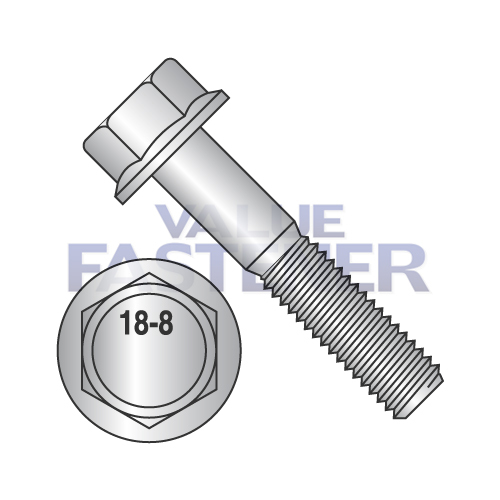 Frame Bolts and Hex Flange Bolts are available in both grade 8 steel with a black phosphate finish, and in 18-8 stainless steel. Frame Bolts and Hex Flange Bolts are used in the auto industry. They feature a flange under the head which eliminates the need for a separate washer.